The latest offering from Xolo is the Xolo Q1200 smartphone which boosts of features like dual window, voice control and gesture control and yet comes with an affordable price tag. The Xolo Q1200 is equipped with a 5 inch (12.7 cm) HD IPS display with a resolution of 960 x 540 pixels (translating into a pixel density of 294 PPI) and damage resistant Gorilla Glass 3 cover. Q1200 is a single-sim smartphone that runs on the Android 4.2 Jellybean OS out of the box. However the same is upgradable to Android 4.4 KitKat. The smartphone is powered by a 1.3 GHz MTK quad core processor and is equipped with 1Gb of Ram. Apart from this it has a Mali 400 - MP2 GPU with a clock speed of 500 MHz. It also features a 8MP primary camera with Exmor R Sensor and a 2MP front camera. The 3G equipped Q1200 has a 2000 mAh battery and 8 GB of internal memory, expandable upto 32 GB. 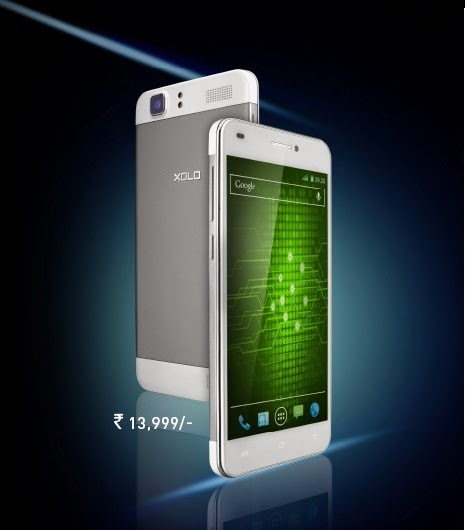 Xolo Q1200 does offer some premium features given its affordable pricing. The includes Gesture Control that lets you control your phone through something as simple as a wave of your hand. So you can unlock your device, browse pictures, change videos and jump tracks without touching the screen. It also features Voice Control that lets you accept or reject a call by simply speaking to your phone. The Xolo Q1200 is attractively priced at Rs 13999/- and will be made available from 10th June 2014. You can however pre-book the same online from Amazon.in or Flipkart.